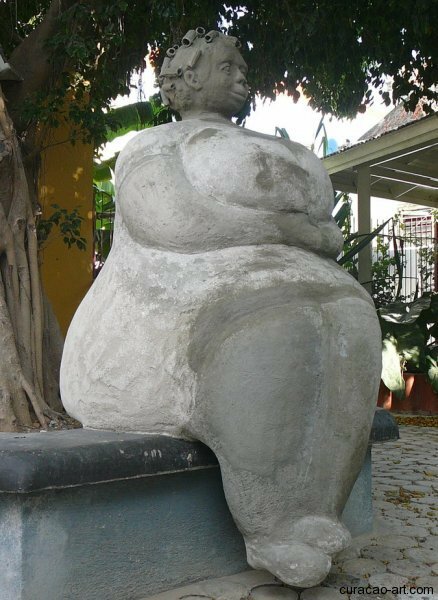 You will find this new ‘Big Mama-sculpture’ by Hortence Brouwn patiently sitting under a tree full of shadow at Pietermaai. This very large concrete sculpture, dressed in a colorful robe, with curlers in her hair is an amazing sight when entering the small square at the end of Kalksteeg. 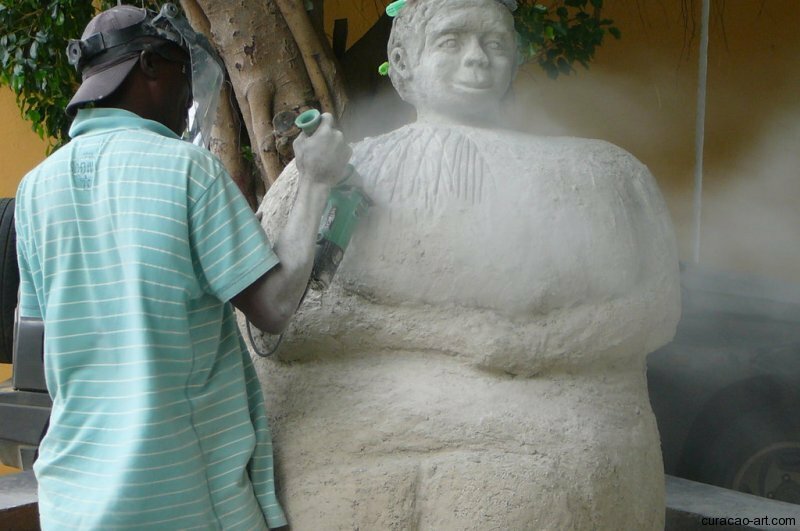 The following pictures were made at Pietermaai, during the making of the concrete sculpture. 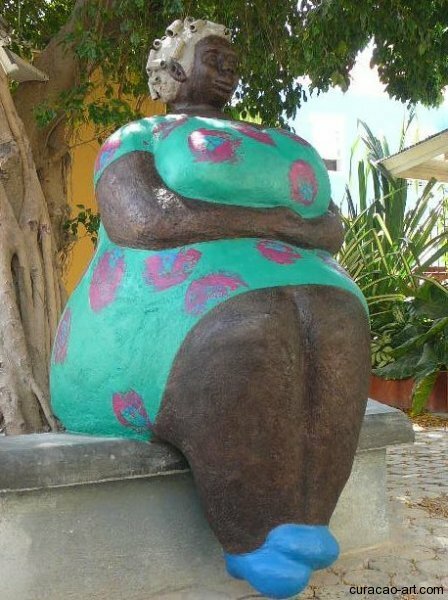 Another ‘Big Mama-sculpture’ on Curaçao is located at Museum Kura Hulanda, in Otrobanda and is made in bronze (1998).